Twenty-five years is a long time to be married. To reach this special Silver wedding anniversary, you have travelled quite a few miles together. Some of these miles were really smooth, others were so rough you wondered how you would ever get over the bumps. You persevered and have reached this wonderful milestone in your married life. You only get to celebrate your 25th anniversary once, so make the most of this magical year. This year is all about silver! So, give your spouse gifts of silver, either something you make yourself, or something special you purchase that will touch their heart. Revel in the fact that you made it to your 25th, as sadly, half of marriages never reach this milestone. 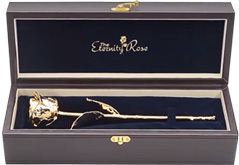 Since you are on our website, it is probably safe to assume that you have either seen one of our gorgeous roses that are preserved to last a lifetime, or someone has told you about our fabulous products. We really do have many happy customers who love to sing the praises of the Eternity Rose. Either way, we are happy you found us. Here you will find the perfect gift to give to either your spouse, or to those who are celebrating their 25th anniversary. Our Silver-Dipped Eternity Roses are perfect for the silver wedding anniversary. 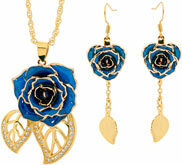 These beautiful roses also are an ideal gift to give to the married couple on their wedding day. Our wedding section offers plenty of gift ideas. Have you ever gone to a Silver Wedding Anniversary party? If so, you probably saw the sea of silver gifts. Most of these gifts contain silver frames, plates, rings, glasses and tankards. Within days, these are stored in a cupboard or drawer, never to be seen again. The Eternity Rose promises to be the one gift that does not get hidden. The elegance and beauty of this blossom warms the hearts of each recipient, and will be displayed proudly for all to admire. For thousands of years, mankind has looked at the rose as the symbol of love. Countless roses have passed between lovers' hands. However, these blossoms do not last. They wither and die, and their beauty remains only a memory in the mind. When you give an Eternity Rose, you are giving a gift that will withstand time. The Eternity Rose retains its beauty and elegance forever. Every blossom is hand-picked by our trained horticulturists, who know when each flower is at the peak of perfection. Each rose then goes through 60 steps in a process that leaves the rose coated in pure silver. Once completed, each rose is placed in a beautiful leather case, all ready to display. This lovely gift will become a show piece in your home, and something that will be handed down to your children and grandchildren. Couples have been celebrating their anniversaries for centuries. Most scholars feel that the tradition actually started during the Holy Roman Empire era. During this time, it was noted that Roman husbands gifted their wives with beautiful silver wreaths on their 25th anniversary, and gold wreaths on their 50th. In medieval Germany, friends, family and neighbors would offer the celebrating couple similar gifts. You can find the whole list of traditional anniversary gifts right here. 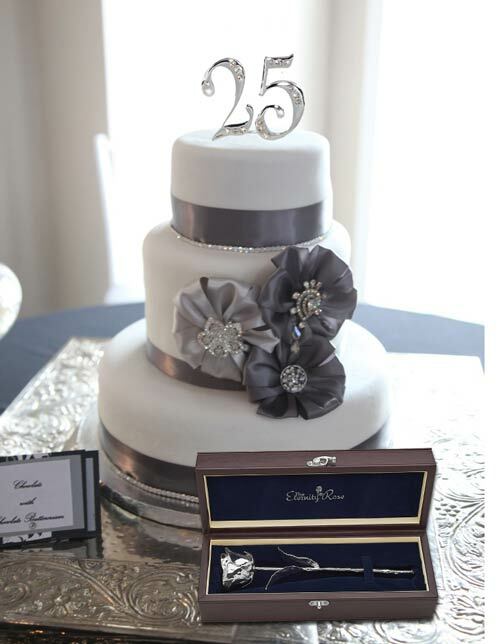 When choosing a gift for this silver anniversary, you should probably think of all things silver. Another suggestion is to buy items that include the iris. The iris is the flower associated with the 25th anniversary, so an iris art print, candles, pillows, plants or bouquets of this lovely flower are all appropriate gifts to give your spouse or the happy couple. Celebrating 25 years together should be something a couple will never forget. Whether it is you and your spouse who have reached this milestone, or your parents, or even some good friends, this special anniversary should never pass without a celebration of some kind. Celebrations could be as elaborate as each couple chooses, or as simple as they desire. Remember, this is their anniversary, so any celebration should be geared to their tastes and desires. Some people love having over-the-top extravagant parties, some people prefer much quieter get-togethers. Keep in mind what your partner, parents, or friends enjoy doing. Tailor your celebrations to the happy couple and your plans will not go astray. Over the years we spend a lot of time making memories together. However, some of these memories will fade and lose whatever shine they once had. Why not take a walk back in time and revisit some of those places that once meant something special to the both of you? Visit the place where you went for your first date, or where your marriage proposal happened. Choose places that will rekindle sweet emotions from days long gone. Remember all those early years filled with love and romance, and bring that back to this year's special celebration. Dine somewhere you both love, and enjoy a quiet night of delicious food and great company. With 25 years behind them, the happy couple probably has a large list of friends and acquaintances. There is no possible way you can invite everyone they know. Instead, choose those who are particularly meaningful in their present lives. Careful planning and prep at this stage will go a long way towards having a successful party. Invitations should be decked out in silver to let recipients know that this party is in celebration of a silver wedding anniversary. You can pre-order invitations with a specific design on the front of the card, and maybe add a picture of the couple on their wedding day on the back, or inside, of the invitation. You can go simple, or elaborate, depending on your budget and the party decor. You've heard the phrase "roll out the red carpet" before. Instead of using a red carpet, purchase a silver runner carpet and have your guests walk the silver carpet as they enter the venue. Place a few bouquets of silver and white flowers near the entrance. (Silver spray paint can be used on white blossoms.) As they arrive, hand each guest an elegant piece of chocolate wrapped in pretty silver paper. Guests can enjoy a welcoming drink in beautiful silver glasses set just to the inside of the doorway. Don't forget to find a perfect book, or even a large (decorated) poster board, where each guest can write a message to the happy couple. 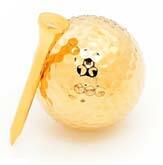 This makes an awesome keep-sake that the couple will treasure forever. In case anyone should forget which anniversary the couple is celebrating, go big and bold on the silver decorations. Hang silver framed pictures of the couple all over the place. Decorate with plenty of silver balloons, ribbons and drapes. Use silver vases on each table, and fill them with more silver and white flowers. Enlarge a picture of the celebrating couple, hang it in a prominant place, and embellish it with a white and silver garland and balloons. 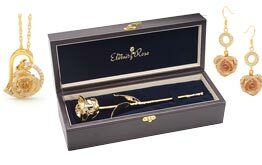 Browse through the Eternity Rose website and you will find that our silver dipped roses are perfectly exquisite. You could use these in place of real silver and white flowers, or as a compliment to the table decorations. After 25 years of marriage, most couples have everything they need for their home, and for themselves. Instead of giving them another silver item that will be stored away and forgotten, give them the gift of you and your talents. Whether you love to write and sing songs, compose poetry or stories, paint beautiful pictures, work with wood or other materials, use your imagination and create something that is unique and special to the couple. This gift will be treasured forever. Music should always be a part of any party celebration. It helps to keep the party flowing smoothly. Do plan to have at least one slow, romantic song that the celebrating couple can dance to. Try to make it 'their song' for that extra special touch. Party games are not just for children's parties. Games help change the mood of parties. Choose fun games like charades and other guessing games. Try to choose a few games that most people will want to participate in. Each one of your guests made a special effort to attend this silver anniversary party. They helped make the event special and memorable. As they leave the party, give each guest a big "Thank You for coming!" card, and (if expenses allow) give them a lovely silver wrapped gift to remember the party itself. You can go as simple as a silver coin, some dried fruits in a silver box, or you can purchase each guest a fine bottle of wine or champagne that you decorate with beautiful silver ribbons. If you decided to add Eternity Roses to your tables, these would also make the perfect gift to give your guests. What better way to say "thank you for coming to this silver wedding anniversary party" than with a silver dipped rose? 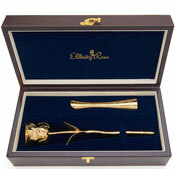 Your guests will proudly display this gift, and they will be the envy of all who didn't attend your memorable party. For a more comprehensive list of gift ideas for couples celebrating their 25th wedding anniversary, click here where you will find a wide range of unique and romantic ideas to make this anniversary extra special. * Denzil and Pauletta Washington have been married for over 29 years! This happy couple have 4 children. In 1995, they renewed their vows in South Africa. * Samuel L Jackson and La Tanya Richardson have been married for 32 years. In 2009, Jackson, one of Hollywood's highest paid actors, and his wife started a charity that helps support education. * Billy and Janice Crystal have been laughing together for 42 years. * Jerry Stiller and Ann Meara have been married over 58 years! They had a popular stand-up comedy routine back in the 1960s and 70s. Jerry wrote a book - Married to Laughter: A Love Story Featuring Ann Meara - about their long life together. As the years pass, marriages grow and adapt to all kinds of different situations. 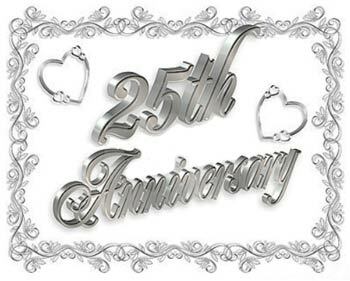 Making it to the 25th wedding anniversary is quite an achievement. Your anniversary celebrations should be memorable, with a promise of love for years to come. Here's to all that the future has to offer... Happy Silver Wedding Anniversary from everyone at Eternity Rose.